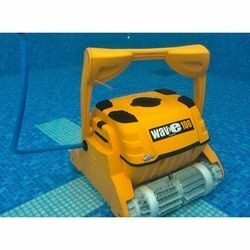 The Dolphin Wave 100 by Maytronics is recommended for commercial pools from 20m to 25m in length. 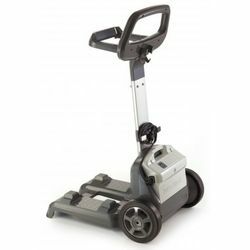 The advanced gyroscopic system ensures accurate scanning for systematic coverage of floor, walls and water-line. 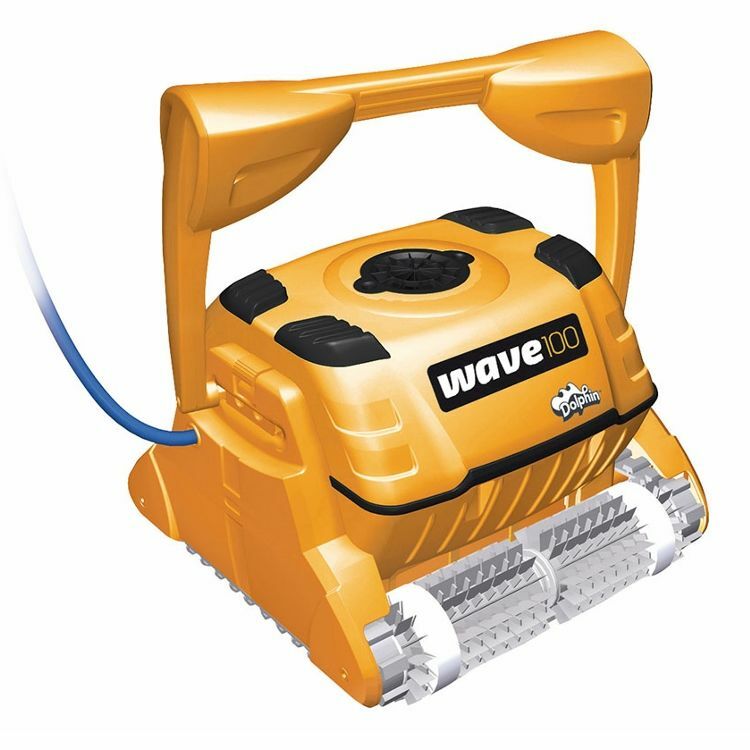 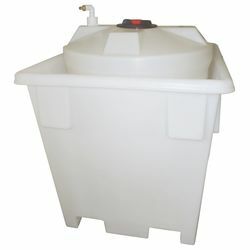 High-capacity filtration captures dirt, dust and all other types of debris. 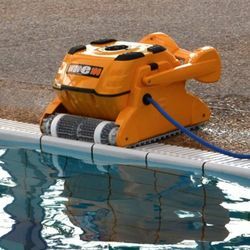 With fully automated operation, your staff can focus on other tasks and your pool water is left sparkling clear and hygienic after every cleaning cycle. 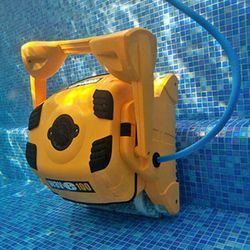 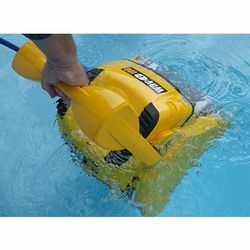 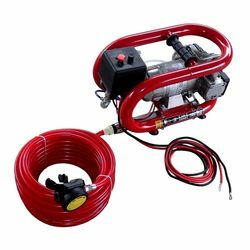 TOTAL POOL CLEANING: The unique gyroscopic system delivers accurate and effective scanning for systematic cleaning of the floor, walls and waterline. 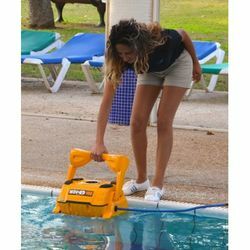 REMOTE CONTROL: Wireless remote control enables automatic or manual operation. Easily adjust parameters including: Cycle time, Delay Start, Floor / Wall / Floor & Wall Cleaning. 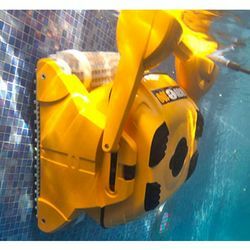 Switch to manual mode for spot cleaning.